Lionsgate Home Entertainment has announced the date and released artwork for the suspense-thriller, Cold Pursuit starring Liam Neeson and Laura Dern. Click on the link below or image to the left to check out the features and artwork. Certain Women is a fine independent quasi-ensemble-interconnected ensemble that features some wonderful performances by Laura Dern, Michelle Williams, Kristen Stewart and Lily Gladstone. Smooth Talk is an interesting albeit imperfect drama that culminates with a dark and creepy finale that, even though it went on a bit too long, still was incredibly effective. The performances from Laura Dern and Treat Williams also stand out and make it worth checking out. 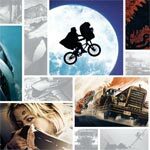 The Steven Spielberg: Director’s Collection is a fine selection, that Universal has access to, that general movies fans will appreciate, even if a couple aren’t that great (1941 and Always specifically). However, given the studio’s history, those who already own previous releases like E.T. and Jurassic Park, could wait as I’m sure the exclusive titles will come available on their own at some point down the road. Wild at Heart is a, well, wild ride featuring bucko performances by Nicolas Cage and Willem Dafoe while it’s fun seeing Laura Dern in a different role. The Blu-ray released by Twilight Time has an amazing audio track and a solid video transfer while the features, albeit basic, it’s nice that they were transferred from the MGM DVD release. The Jurassic Park: Ultimate Trilogy is far from perfect but with one great film, one entertaining film and another with squandered potential, this is still a worthwhile set to add to anyone’s collection. The features have all been ported over and even include a well-made six-part documentary (which totals 130 minutes in length). The video is a bit disappointing but the audio is excellent.